Jennifer Van Haaften won the 51st Annual William Best Hesseltine Award for her article, "Re-examining the American Pioneer Spirit," published in Volume 100 of the Wisconsin Magazine of History. The William Best Hesseltine Award was established in 1965 in memory of historian and Wisconsin Historical Society past president William B. Hesseltine. Each year member readers vote from a list of the previous year's eligible writers and articles, selecting the best original article. Each award winner receives a $100 prize. Results of each year's voting are published in the winter issue of the Wisconsin Magazine of History. 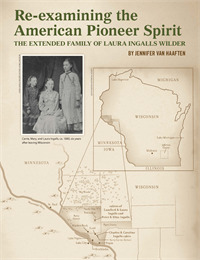 A common theme runs through Laura Ingalls Wilder’s eight Little House books and the articles about her family and life in the Missouri Ruralist: the pioneering, independent American spirit that we see in Ma and Pa Ingalls as they continue to move their family to new towns and territories across the Midwest. As Van Haaften shows, the Ingalls were not as self-sufficient as the stories in the Little House books would have us believe. Charles and Caroline (Quiner) Ingalls maintained close family connections across the Midwest as they settled and resettled. Historical evidence shows a complex system of family connections, with parts of the extended family following one another as they relocated. The family kept in touch through letters and visits when they could not settle in the same place. Even though the Ingalls family moved often in search of new opportunities, they returned to their home base in Wisconsin’s north woods multiple times. Examining census records, registers of deeds, land grant records, and family letters, a broader story of mutual support emerges. 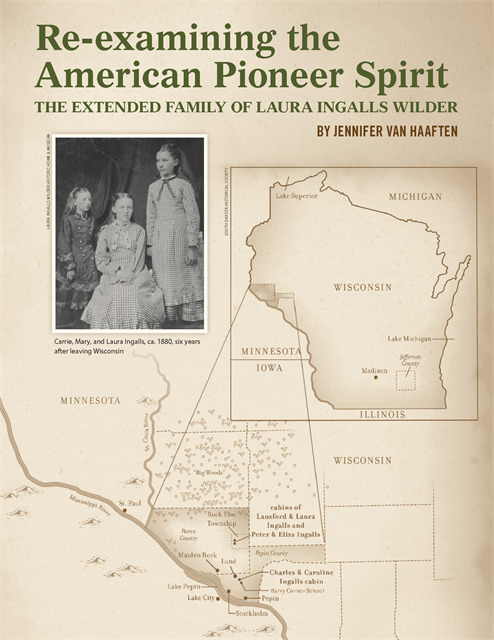 Through multiple moves, the Ingalls and Quiner families demonstrated their desire to remain proximally close to their relatives, showing that no pioneering spirit can emerge without family support. Access our online archives of the Wisconsin Magazine of History in order to read the article online. Jennifer Van Haaften has been Assistant Director of the Wisconsin Veterans Museum since 2015. She earned her bachelor's in history at the University of Northern Iowa, her master's in history at the University of Manchester, and her master's in historical administration at Eastern Illinois University. Prior to her work at the Veterans Museum, she was Associate Director of Historical Programs and Resources at Old World Wisconsin, where she directed the annual month-long World of Little House event, giving every visitor a chance to live like Laura. See past winners and learn more about how to nominate articles for the award.